The original justification for patents and copyrights was to secure the moral right of holders to determine the use of their creations. For some time now, however, patents have been justified in terms of their economic utility. According to this view, market exclusivity is necessary for motivating inventors and investors to put time and money into R&D projects with uncertain outcomes. Without patents, it is argued, funding for new inventions would dry up, and economies would be deprived of new, innovative goods and services. Inevitably, economic development would slow down. Opponents, meanwhile, turn the same utilitarian argument against patents: the market exclusivity that a patent grants a holder clogs up the arteries of innovation. Patents raise barriers that slow down the diffusion of new technologies. Investors and inventors, they argue, have a hard time understanding what is already protected, or what can and cannot be done without getting sued by another patent holder. Patents have become such a complex web of market protection that users of licenses have to buy access to many junk patents just to be safe from “patent trolls” and other rogue patent actors, who make a business out of suing inventors and their customers. And the consequence of all this complexity is that economic development is slower than it should be. That both supporters and opponents of patents can be right at the same time should tell us something about the nature of the debate. Patents have always been a strange creature in the market economy, and market developments of the past decades have made them stranger still. While patents are the subject of a great deal of research and controversy, the current knowledge of their economic effects is at such an abstract level that it is almost meaningless. On the one hand, it is true that, without patents, some investments in development and innovation projects would likely never see the light of day. On the other hand, it is implausible that the effect of such an absence would be similar in all parts of the economy, or at all times, since patents do not have the same protective power in all market sectors or for all products. Moreover, companies adapt their competitive strategies to market realities. Indeed, few firms that are putting money into research and development projects consider patents the only instrument—or even the most important one—to protect against unwanted use of their technologies while they are recouping development expenditures. At the same time, market exclusivity, by definition, can be used to slow the spread of new innovations through the economy. Just look at the smartphone patent wars during the last ten years, with Google, Apple, Huawei, Motorola, Samsung, and others suing competitors for alleged patent infringements, often with the ambition of getting a court to stop a firm from launching new products. If everyone were free to copy or imitate what has been patented, more consumers would likely be able to gain access to new innovation faster. But these arguments against patents also merit some skepticism. Patents are simply not the most important factor in determining how fast an economy catches up with innovation. The diffusion rate of new technology and products in today’s economy—through trade and investment—is much faster than in the past, because of reduced barriers to market exchange. That is also true for the rate of knowledge obsolescence: a patent, to use one metric of how fast new knowledge ages, loses citation power much faster today because knowledge spreads more rapidly. Nor has the existing stock of patents deterred companies from spending money on filing new patents. In fact, the rate of patent filings has been climbing for many decades. Thus a world free of patents would not necessarily be one more open to competition for new technologies. Successful patent reform must therefore begin from a more concrete understanding of the role patents play in today’s economy. Specifically, it is necessary to understand the present structure of markets and competition in order to better understand the role of patents—how they influence commercial behavior and how they affect what types of innovation and competition develop. The challenge is not to figure out the aggregate effect of patents on the entire economy; that is simply too abstract, and the results will always be inconclusive. Those seeking patent reform should rather focus on tailoring patents to foster more robust competition and to incentivize more and higher-quality innovation. Two areas of reform are particularly relevant: First, the strength of the market exclusivity that a patent gives a holder should reflect the financial and competitive strength of the holder. Second, the duration of market exclusivity should reflect the time needed to develop effective competition on the heels of innovation. There is a great degree of romanticism about patents. They are usually staged as a David-versus-Goliath story, with the plucky small business fighting the staid corporate giant. But if there is one thing about the practice of patent enforcement that stands out, it is that patents rarely protect those that they are supposed to benefit—aspiring companies with limited financial resources to protect their new technologies. For these types of companies, usually young and often small, getting their first patent approval may boost troop morale. But, in reality, it rarely amounts to much. True, patents can serve as a proof of concept for investors and other stakeholders, but other expected benefits often prove illusory. 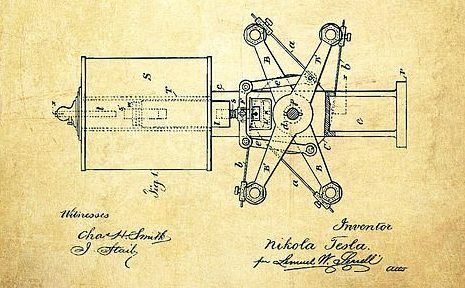 Patents supposedly provide a right to the exclusive use of technology, but in most cases patents are narrow and easily circumvented. They are at best only partially relevant for business operations. Most of the time they do not really impact market conditions. And one patent is never enough. For most firms and markets, exclusivity only means something when a patent holder sits on a large number of patents, which is only true for big multinationals and specialized patent portfolio managers. The value of exclusivity is also a reflection of the global coverage of the patent, and to achieve that requires a significant investment in time and lawyers. As many smaller operators have learned the hard way, patents can also be a competitive disadvantage: once the patent is approved, all competitors will have access to the knowledge behind the patent and can legally repurpose it. In the real world, patents do not guarantee operational exclusivity. There is no institution that effectively safeguards patent holders and no agency evaluating infringements. Absent a proper referee to enforce the exclusivity rights, the protective value of a patent is surprisingly weak. The patent is not a protection but rather a weapon that holders can use to attack anyone they believe is trespassing on their territory. Yet the weapon is only effective if the patent holder has the resources to enforce it. Claiming patent infringement requires money, experience, and endurance—and it is mostly big and rich firms that possess these necessary qualities. Short on money and usually pressed for time to go to market, small, aspiring companies often lack the will and the strength to fight in the courts. And during the time lost in litigation, their innovation may become obsolete. Moreover, legal disputes discourage potential partners from coming aboard before the claim is settled. In reality, for companies that most need protection and exclusivity in order to compete effectively, protection through patents often belongs to an abstract world—something that is beyond their reach. Sometimes David decides to fight Goliath, and those examples are hardly inspiring. Hakan Lans is a Swedish serial inventor who has invented key technologies for color computer graphics, the computer mouse, and more. He protected his innovations through patents in multiple jurisdictions, but soon learned that the protection was not worth much more than the paper it was written on. He spent decades fighting against big companies such as Hitachi and Hewlett-Packard for alleged patent infringements and, in some cases, their countersuits. Regardless of the merits of these patent claims—most of them have been settled and firms have paid royalties to Lans—he almost ruined himself and, even worse for the economy, had to devote his brainpower to legal disputes rather than to inventing new technologies. Although patents theoretically provide a financial incentive to invest in innovation, that is not necessarily how they function in the current corporate environment. For many companies today, patents can best be described as a financial valuation tool used to determine the price of traded assets—primarily the acquisition price of a smaller, innovation-oriented firm by a large, multinational firm. In other words, patents offer a standard metric for measuring the commercial potential of a specific transaction. The actual innovation behind the patent, or an entire patent portfolio, is often too complex to value in purely financial terms, and the patent simply establishes a common language for asset valuation. Patents, therefore, increasingly function as a “docking station” for the integration of small firms into big multinationals through acquisitions. Large enterprises have, over time, shifted the focus of their competitive strategies away from their own innovations. Resources have instead been allocated to gaining market positions that make them attractive partners for external sources of innovation and, above all, enable large corporations to regulate the degree of competition in their markets. Take Apple as an example. It is a skilled patent manager and regularly acquires smaller technology firms to develop its core products. In the past year, Apple has snapped up firms like InVisage, a developer of quantum-dot technology, and bought a portfolio of Pantech patents. Through these acquisitions, Apple gains innovative technology while the sellers move their intellectual property to a company with a strong market position and the capacity to compete in several product markets that firms like InVisage could never reach by themselves. Big Pharma, to take another example, looks set to break a new record for acquisitions this year. Celgene, for instance, acquired Juno, a research firm in experimental cell therapies for cancer, while hemophilia specialist Bioverativ was sold to Sanofi. In both cases, companies with strong positions in customer markets—but falling revenues from the sales of older blockbuster drugs—have sought to strengthen their patent portfolios through M&A rather than R&D investments. The current patent regime may not be solely responsible for these changes in competitive strategies, but neither has it been an innocent bystander. The financialization of patents has spurred new market models for innovation and changed how innovation competition between firms is organized. This development has had negative effects, as real, contestable, life-and-death competition has weakened in recent years. Incumbents have secured greater power to regulate market competition through sheer market dominance. As a result, they no longer compete as intensely on the basis of their own innovations. The reality is that most markets have been rather dull for a long time. The pace of innovative change has been anything but impressive. When it is difficult to break into new markets and compete against incumbents, the pace of market renewal slows down. We get markets that conserve business models and hierarchies between firms, and that incentivize innovation that conforms to existing structures instead of challenging them. The good news is that business success from innovation is not usually determined by patents but is defined by non-patent behavior. A patent does not sell anything. It does not organize work or define business models, and it certainly does not guarantee success with customers. A company that plans to commercialize a patent faces a steep learning curve. It is a process in which companies develop multiple iterations of technologies and products before creating something customers want to buy. A new technology is first developed into a product prototype that is tested and remade again and again, before it can become a commercial product. It is a process that usually takes years and never really stops because new iterations are needed for a firm to adjust to changing market demand. When a new product is launched, the next version needs to go into production. Unfortunately, all the uncertainties around patents make the development of technologies and products more challenging for young and small firms. Paradoxically, for those firms that might need market exclusivity because of long product lead times, patent uncertainties all too often complicate raising the necessary investment needed to move faster with innovation and to get products to market. Every investor who considers putting money into a firm with a promising technology will weigh the patent risks. Analyzing risk is what investors do, and when it comes to patents, the uncertainties are often huge. Investors deal with this in two ways, either by not investing, or by investing with a premium on corporate valuation to make up for risks and uncertainties. In this way, patent uncertainties can lead to valuation becoming dissociated from real company strength. Thus the current patent regime protects big companies much more than small firms. Large corporations have the resources to fight back against rogue patent operators. They usually know how to play a defensive patent game and use their patent portfolios to preclude or delay new innovation competition from others, especially smaller firms. And they often have a market position that deters intruders from trespassing on their patent territories in the first place. Their incumbent position also makes it easier for them to commercialize new technologies: they usually have the production and logistics operations necessary to bring a new technology to the market relatively quickly. A reformed and modernized patent system should acknowledge the variation in financial and competitive strength among holders of patents. The economic value of a patent is dependent upon the holder’s ability to enforce the market exclusivity that the patent grants. But it is well established that not all patent holders are equally equipped to protect that exclusivity. For the patent system to enable more innovation competition—competition that challenges incumbent market structures and firm hierarchies—the level of effective protection has to be stronger for young and small firms than it is for incumbents with vast market power. In their current form, patent awards pay no regard to the character of the applicant or its ability to both protect and commercialize the patent. Consequently, patent holders or potential holders are incentivized to gravitate toward companies with dominant financial and market power, rather than to those with the willingness to challenge existing structures of market power. It is a challenging proposition to adjust the effective protection of a patent to the enforcement capabilities of its owner, but that’s what’s necessary if societies want to level the competitive playing field between unequal types of holders and to incentivize more competition against incumbents. A patent typically grants the holder economic exclusivity for twenty years, counted from the filing date. These formulaic, fixed terms of patents have the effect of incentivizing risk-averse, incremental innovation rather than fundamental innovation. All patents do not need the same type and time of market exclusivity. For various reasons, many patents are never actually used to develop new innovations. Promising avenues of development often remain merely promising, offering no direct commercial value to the holder. Some firms apply for patents without any intention of ever using them, simply to prevent their competitors from gaining an advantage. Defensive patent strategies are used by virtually all large companies today and increasingly result in litigation and high transaction costs for innovation. A good starting place for reform would be to condition the term of a patent on actual commercial development or continued investment in commercialization. There is no reason for a state to grant market exclusivity to a patent holder that is not using its patent or investing in it. Instead, a patent could be granted for, say, five years and, after that period, the holder needs to demonstrate that longer market exclusivity is necessary to get the product to market and recoup the development costs. While it is not ideal to have patent offices vetting firms’ development and commercial strategies, there is no other way to get the patent system more focused on spurring innovation and competition than to condition exclusivity on real action. The government is already interfering in the free market by granting the market exclusivity in the first place. Conditioning approval (or renewal) on a metric of use and performance would actually reduce the degree to which governments steer the market through patents. Conversely, patent agencies should also be empowered to grant market exclusivity for longer than the current twenty years. The formulaic and fixed-time approach to market exclusivity means that, in some sectors, investment in development and innovation is reallocated from big (and time-consuming) innovation to incremental innovation that is more likely to generate profits during the patent term. Yet it is by no means obvious that this reallocation is to the net benefit of society. Take the case of pharmaceutical firms. Few sectors have been subject to as much patent controversy as Big Pharma. Although it has been a long time since these companies could realize exorbitant profit margins under a patent system that gave many medicines a monopoly status, there are still remaining concerns that the current system allows firms like Merck and Pfizer to unfairly capture economic rents. There is a grain of truth in this view, but critics often focus on the wrong target. The problem is not so much the economic rents in themselves—awarded patents will always provide economic rents to holders that commercialize them. Rather, the incentives surrounding the realization of those rents are what is more problematic. With fixed patent terms (in a market where prices are increasingly regulated), companies are motivated to pursue predictably profitable drug developments rather than to invest in drugs with greater effects on health or in therapeutic areas where there is a dearth of effective medicines. A recent University of Missouri study on the effects of fixed-term patents in medicines showed that scientifically difficult development projects are routinely cut by firms because it takes too long to develop a new drug and profit from it. This especially affects diseases that are increasingly common with rising longevity, such as immunological conditions, Alzheimer’s disease, and other neurological diseases. The longer it takes to develop a drug, the less time a developer has to recoup R&D investment and to make a profit. And with gradually increasing time for clinical trials and regulatory approval processes, all firms play it safe and go for the drug developments that stand a greater chance of success in the time frame established by the patent system. The patent systems of developed economies today assume that there is a universally applicable formula for determining how long a holder should be granted market exclusivity. But there isn’t one. The time of exclusivity needed to take a product to market and recoup development costs varies greatly between sectors. In many industries, such as mobile hardware and software, existing patent terms are generally too long. In other sectors, patent duration must be better matched to what technology is under development. A drug to treat Alzheimer’s disease, for example, needs substantially more protection than a new version of aspirin, but at present the patent system operates under the assumption that both achievements would be equally challenging and costly. The best argument for reforming the patent system today is that the current regime reduces the space for competition and mainly serves to protect incumbents. Adjusting protection to take into account the holder of a patent and the nature of the patented technology is a start, and it should be combined with reformed patent terms under which market exclusivity is conditioned on continued investment in development and commercialization. But reforming the patent system may not do enough to improve incentives for innovation if the reforms neglect the commercial regulations that set the tone for competition. Many product standards set by regulators have become unnecessarily restrictive and work to the advantage of large companies that know the regulatory system and have the resources to work with it. The pharmaceutical sector is a case in point. Consider the cost and time required to get a new drug or medical device through the approval process of the U.S. Food and Drug Administration (FDA) or its regulatory cousins in other parts of the world. Costs have gone up almost continuously—and far faster than inflation. Scholars at the Tufts Center for the Study of Drug Development found that the cost of developing a new FDA-approved drug increased thirteenfold between 1975 and 2005. Multiple factors explain the rise in cost. One factor is the increasing cost of developing new medicines for complex diagnoses. Another factor is the rise in the cost of regulation. The Tufts study showed that between 1999 and 2005, the length of a clinical trial process increased by 70 percent and the clinical staff burden by 67 percent. In more recent years, other studies show, it is not the time required to gain FDA approval that has driven cost increases, but the growing size and complexity of clinical trials. The principal problem appears to be that the FDA regulatory system cannot work efficiently with new drugs for treating chronic conditions as opposed to acute illnesses or rare diseases. The current approach, with less emphasis on conditional approvals, leads to a market with insufficient commercial motivations to develop new medicines. It is one where only big companies can afford the financial risks of taking a drug through clinical trials. Together with fixed-duration patents, it incentivizes incremental improvements that offer reliable profits instead of supporting higher-risk, transformative innovation. It is, in a word, a system that works to reinforce the patent advantages of big firms. The pharmaceutical industry is only one area in which regulation too often serves to reinforce the incumbency advantages created by current patent systems. And, as with patent reform, regulatory reformers need to think beyond simple ideological terms of more versus less. The task instead is to adapt regulatory and patent systems to the current realities of market competition (or the lack thereof). Rather than getting lost in abstractions, reformers should focus on correcting specific situations where systems intended to encourage innovation have morphed into barriers protecting incumbents. 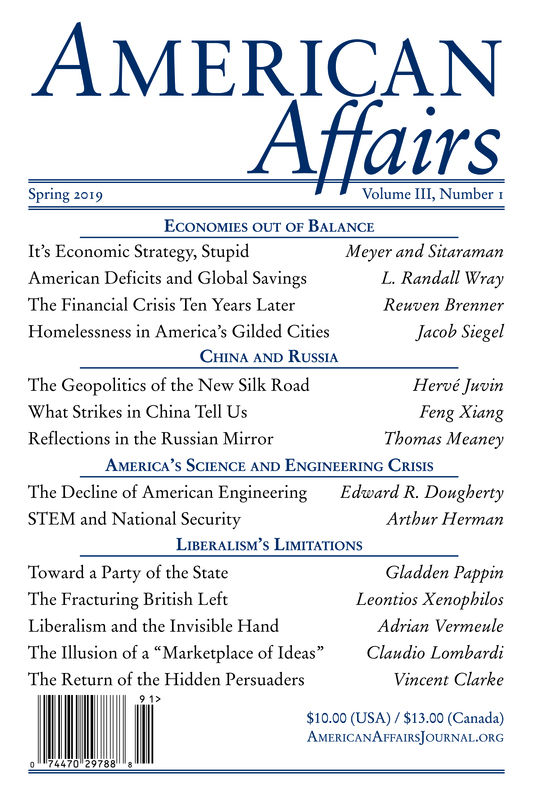 This article originally appeared in American Affairs Volume II, Number 2 (Summer 2018): 114–24. Fredrik Erixon is the director and cofounder of the European Centre for International Political Economy. He is the co-author of The Innovation Illusion: How So Little Is Created by So Many Working So Hard (Yale University Press, 2016). Björn Weigel is a business strategist and investor/entrepreneur. He is the coauthor of The Innovation Illusion: How So Little Is Created by So Many Working So Hard (Yale University Press, 2016).